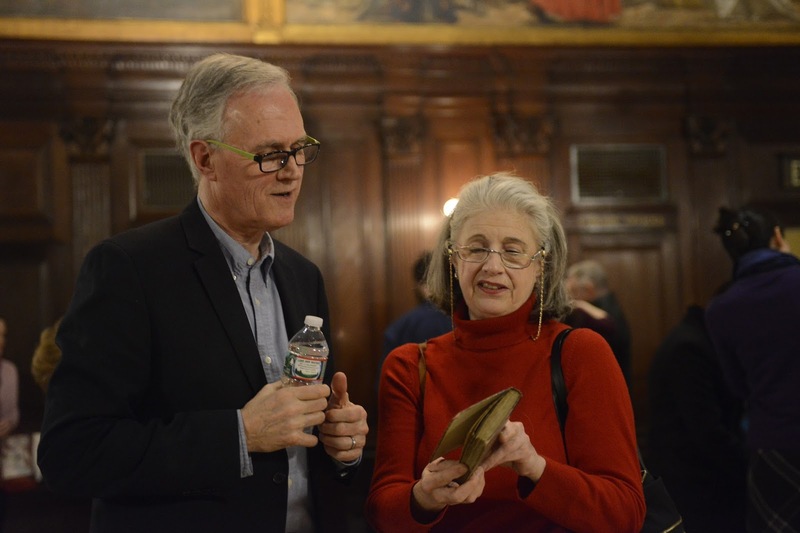 When BLO hosted its "Opera Night at the Boston Public Library" for Massenet's Werther on February 25, the last thing we expected to encounter was a living piece of history! One of our dedicated BLO supporters attended with a family treasure: a copy of Goethe's The Sorrows of Young Werther, in French, inscribed by Massenet himself. The great Sibyl Sanderson was Massenet's favorite soprano; she premiered several of his leading roles, including Esclarmonde, and was a renowned singer of Massenet's Manon. The Sibyl Sanderson Story: Requiem for a Diva, by Jack Winsor Hansen, recounts her success and tragically short life. Her great-niece, Margaret A., now lives in Boston and brought the heirloom to share with the BLO conductor and cast members at the BPL. 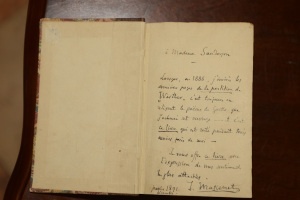 The book was given to Sibyl Sanderson's mother, (Madame Sanderson) by Massenet himself after the premiere of Werther in Paris. Margaret was delighted to share this family history with BLO, and we were thrilled to see the work come to life, on and off the stage! Margaret A. showing conductor, David Angus, her family copy of The Sorrows of Young Werther. Sandra Piques Eddy, singing the role of Charlotte, explores the book, inscribed by Massenet himself. Massenet's inscription to Madame Sanderson.